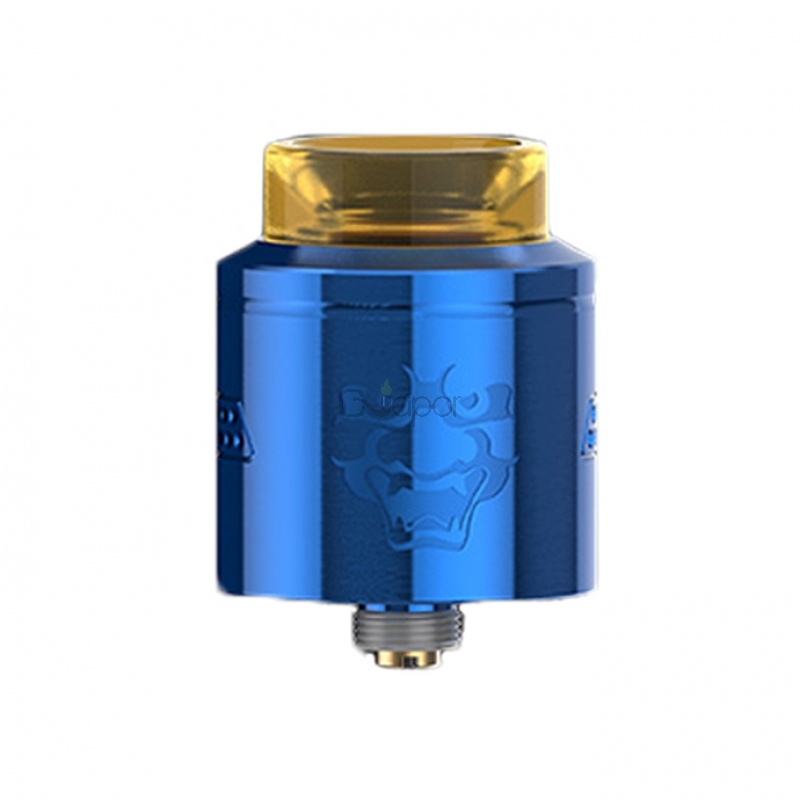 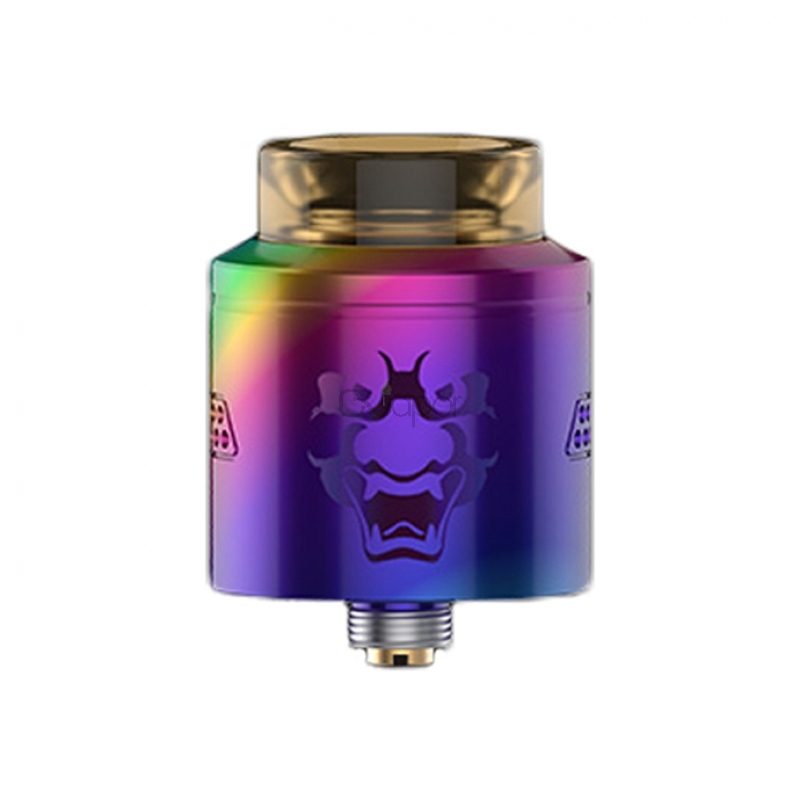 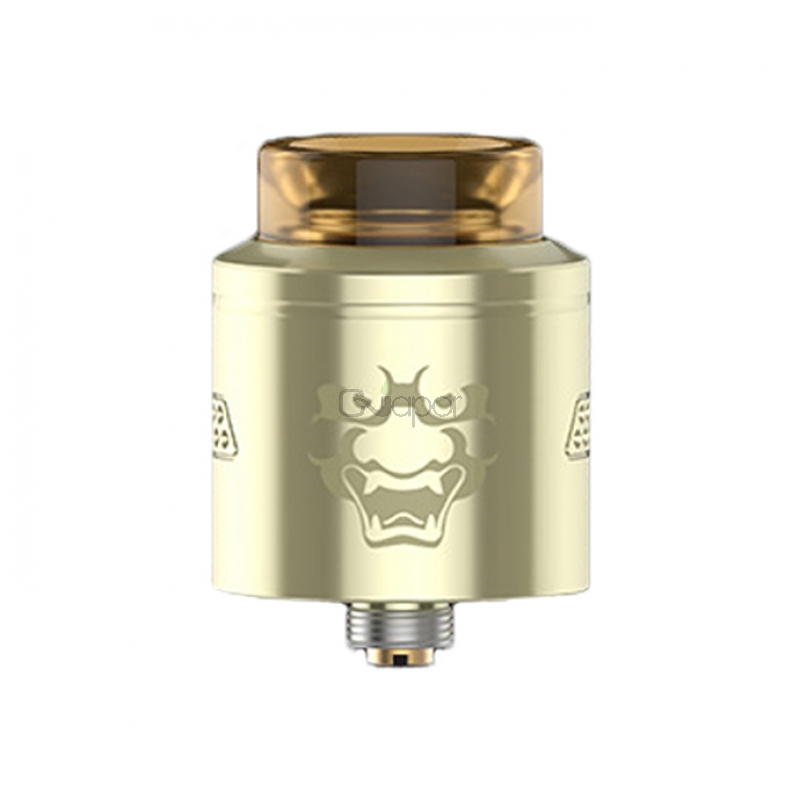 GeekVape Tengu RDA is an innovative rebuildable dripping atomizer with 24mm diameter and 6mm deep juice well. 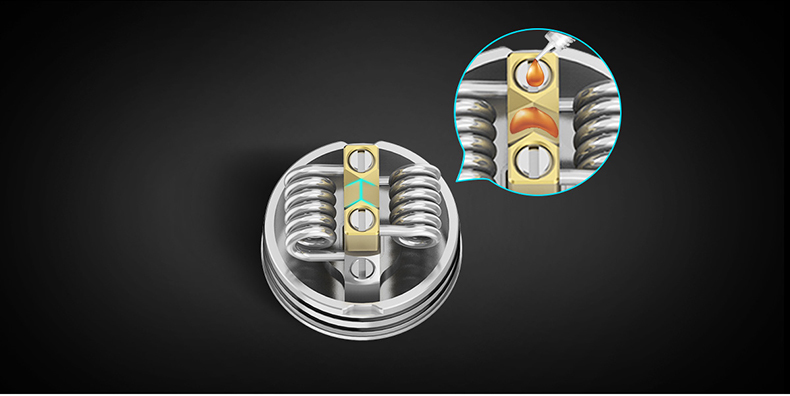 It utilizes unique deck for easy dual coils building. 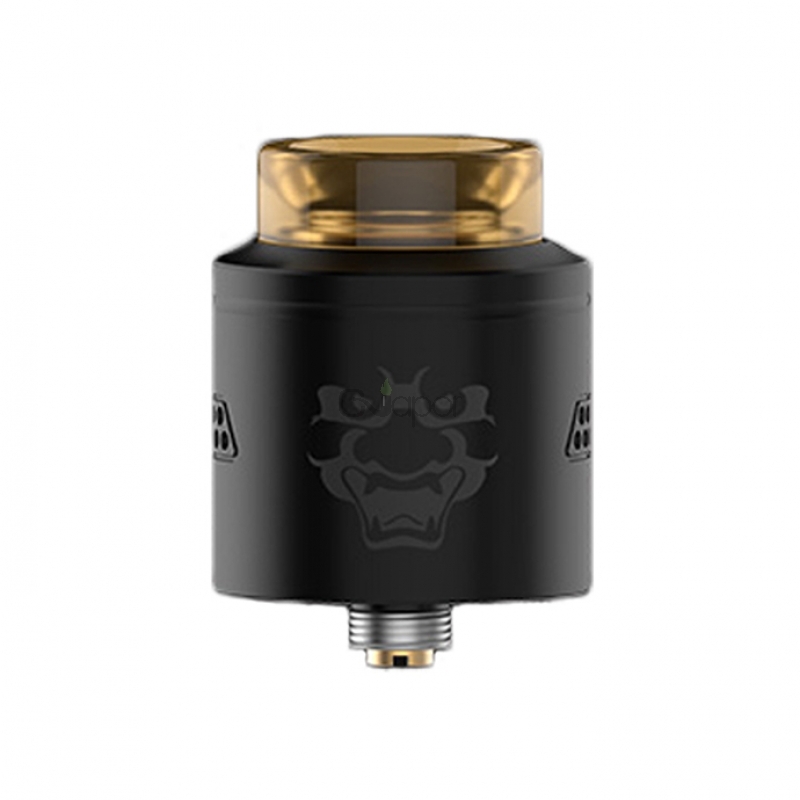 It comes with honeycomb side airflow inlets design to ensure smooth and even controllable airflow, and the concealed airflow is adjustable. 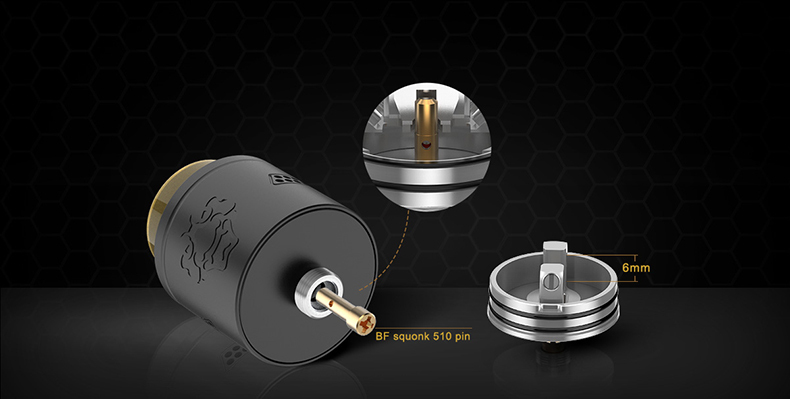 With BF squonk 510 pin, the Tengu RDA is compatible with BF Squonk mod. 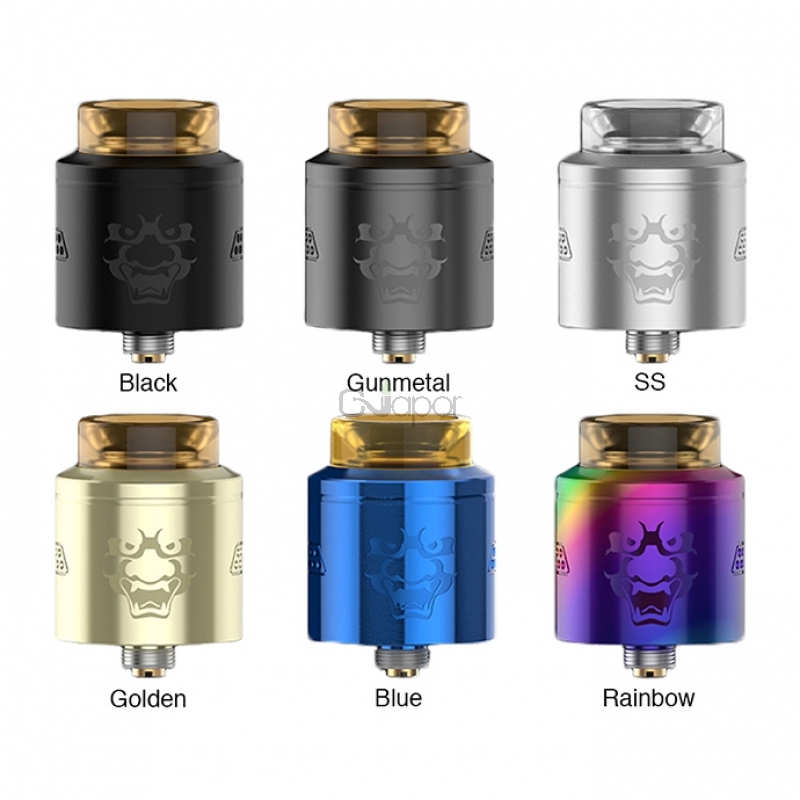 Black, Golden, Blue, SS, Rainbow, Gunmetal are available. 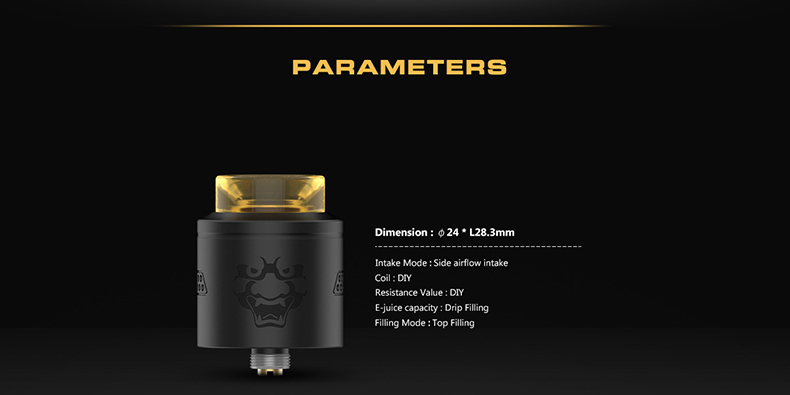 Three Months warranty period for Tengu RDA.